We are a financial services firm specialising in accounting, business and personal finance with networking links to a major financial planner, and business consulting. "The Winning Combination" is our main theme. We believe that our expertise, in partnership with your ambition to succeed in everything you do financially, will provide the platform for achieving your goals. Conveniently located in Jimboomba, and easily accessible via Email, phone and facsimile means we are equipped to handle your business wherever it is located - locally, Australia-wide or worldwide. David is the Principal and "team leader" at our firm. It is David's responsibility to make sure clients' requirements are dealt with in an efficient and professional manner. David is a Certified Practising Accountant (CPA) with Tax Agent registration and more than twenty five years of experience dealing with accounting and other financial matters. David is also a member of the National Tax & Accountants Association (NTAA) and has been a Commissioner for Declarations for over twenty years. 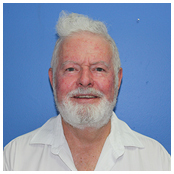 David's practice has been in its current location since 1995 when the Jimboomba Junction Shopping Centre was opened and David established a "one stop shop" where clients can go with confidence for their taxation, financial services, loans, and business advice, and talk to someone who understands their requirements. David is an authorised representative of Professional Investment Services and can provide financial planning advice to clients to assist with wealth creation, retirement planning and estate planning matters. David is committed to providing the very best in financial advice, taxation and proactive strategies to assist clients in achieving their business and personal goals. David has the knowledge and strategies to assist clients in their everyday and not-so everyday endeavours. Lyndie is responsible for client matters of a more complex nature. Lyndie is able to assist with all accounting and tax matters that clients have, ranging from individuals to complex business arrangements and superfunds. 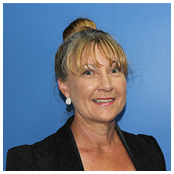 Lyndie has over 30 years experience in roles ranging from taxation firms to senior executive finance roles in ASX listed entities. She has also owned small businesses in the past and is very aware of their needs and the challenges they face. She has worked extensively with businesses during growth phases and assisted them to use technology to efficiently obtain and measure key financial results. 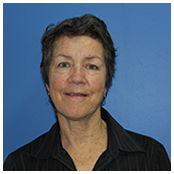 Regina is our resident senior bookkeeper and specialises in MYOB applications for clients. If clients want to know about whether they have produced a set of accurate accounts, Regina is the person they contact because of her attention to detail. Regina also has the ability to communicate her knowledge to clients and she is well regarded by clients, staff and other professionals alike.